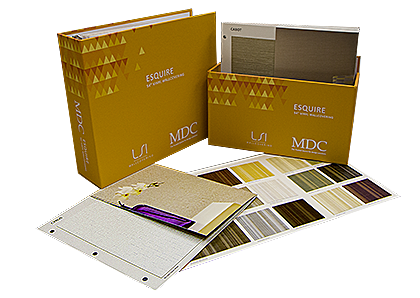 Leaders in the design and manufacturing of innovative sampling and sales tools for the wall coverings, flooring, window treatments, textiles, trimmings, leather, upholstery, apparel, automotive and marine industries. Leaders in the design and manufacturing of innovative sampling and sales tools for the wall covering, flooring, window treatments, textiles, trimmings, leather, upholstery, apparel, automotive and marine industries. 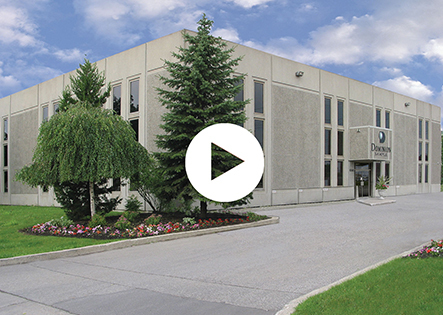 Since 1957, Dominion Sample has been designing and manufacturing swatch cards, binders, folders and fabric books, as well as many other types of sampling products. Over the years we have honed our skills and built a clear understanding of customer needs that we translate into unique and effective sampling tools. In addition to swatching, book binding and die cutting, we can provide offset or digital printing, silk screening, laminating and foil stamping. We understand that each industry, whether it is apparel, wallcovering, upholstery, flooring or textile has its own requirements. We take great care to tailor our innovative designs to meet customer needs. We pride ourselves on creating sampling tools that present our customers' products in a compelling and artistic, yet highly functional and cost effective manner.